Growing up, I never had an appreciation for Julia Child. She was always on channel 10 (PBS in Portland), and I found her show boring and didn't actually care for her. In 2009, when the movie, Julie and Julia came out, we went and saw it, thinking “I'm not really into Julia, but I like to cook, so maybe I'll like it”. I never realized how much of an impact that movie would make on the way I cook. When I left the theater, I went home and downloaded every book I could find to listen to from, “My Life In France”, to “Appetite For Life”, just to name a couple. I even found a first edition “Mastering The Art Of French Cooking”. I then went back and watched a quite a few of her TV programs “The French Chef”, and was like, wow look at all I missed. Now, any opportunity I get to make one of her recipes, I always opt for one from Julia. 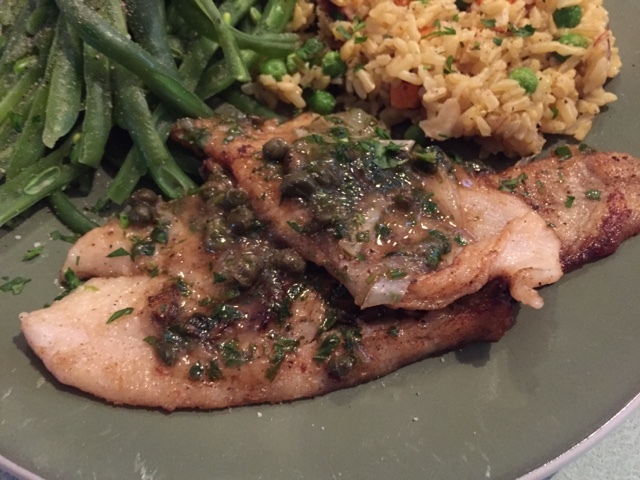 Now, Sole……my mom used to microwave sole for dinner, so my impression of this delicious fish was not all that favorable. 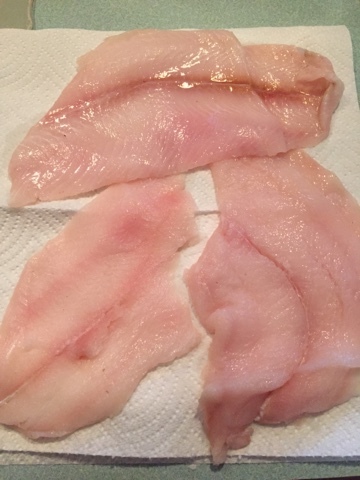 Sole is a flatfish, and is a member of the Flounder family, and a bottom feeder. 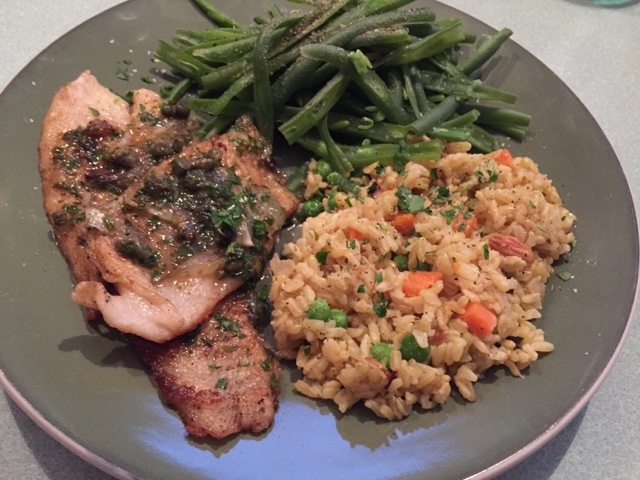 It’s a fast cooking fish and can easily be over cooked. Here is the recipe I used for today’s share of our CSF. 1. Rinse lemon, and with a small, sharp knife, cut off and discard peel and white membrane. Thinly slice lemon crosswise, discarding seeds and ends. 2. Rinse sole and pat dry. If fillets are longer than 6 or 7 inches, cut in half crosswise so they'll be less likely to break when you turn them. Sprinkle each fillet lightly with salt. Coat on all sides with flour, shake off excess, and lay pieces side by side on a sheet of plastic wrap. 3. In a 12- to 14-inch frying pan over high heat, melt 2 tablespoons butter; when hot, lay as many pieces as will fit side by side in pan without crowding and cook until browned on the bottom, 1 1/2 to 2 minutes. Turn with a wide, flexible metal spatula and brown remaining side, 1 to 2 minutes longer (if butter begins to scorch, reduce heat to medium-high). With spatula, transfer fillets to an ovenproof platter, laying pieces side by side, and keep warm in a 200º oven. 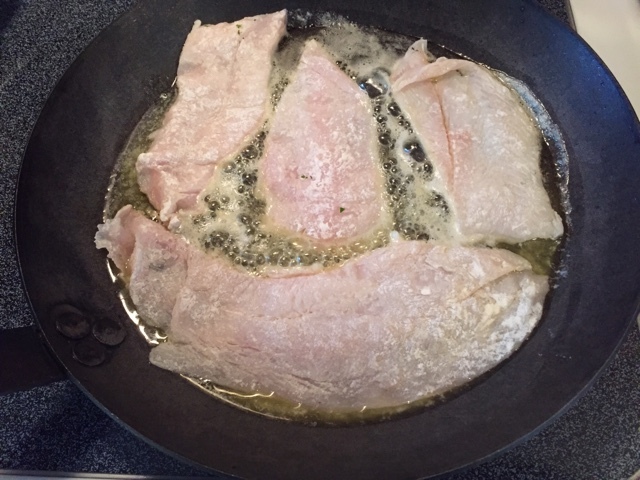 Melt 1 more tablespoon butter in frying pan; repeat step to cook remaining sole fillets, transfer to platter, and keep warm in the oven. 4. With a paper towel, wipe frying pan clean and return to high heat. Add 1 to 2 more tablespoons butter and the capers; stir until butter is melted. Add lemon juice, remove from heat, and stir in about 3 tablespoons of the parsley. 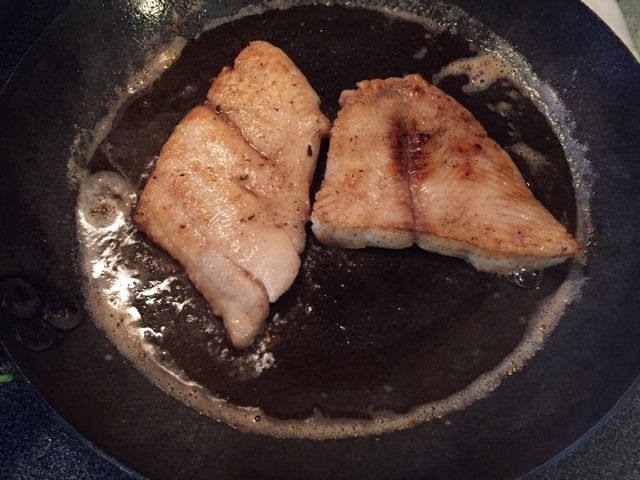 At once, scrape butter mixture over hot fish fillets. Garnish with lemon slices and remaining parsley and sprinkle generously with pepper. With spatula, transfer fillets to plates. Season to taste with more salt.